This pretty and cozy holiday apartments overlooking the sea and the picturesque village of Mali Iz are situated on a quiet island. A shared barbecue is at your disposal. This beautiful modern apartment is made from brick or stone and was recently built in 2002. The agent has rated it as a four star property so it is a well-equipped apartment with above average furnishings. It is also great value for money. 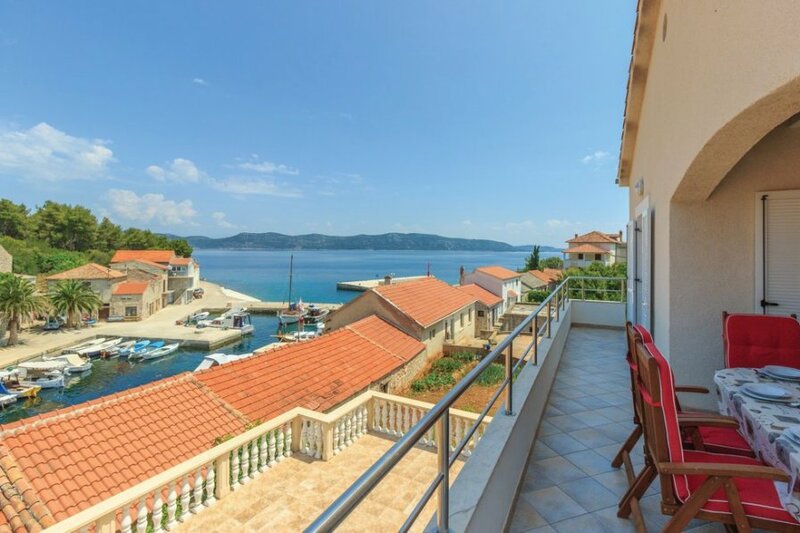 This apartment has sea view and is located in Mali Iž, 20km from Zadar. It is set in a very convenient location, just 100 metres away from a rock bound coast. There's also a restaurant only 800 metres away.